Beautifully renovated brick ranch home located in University Park. Fenced Backyard with a large patio and built in benches and fire pit, Fresh paint throughout unit. New Interior and Exteriors Doors throughout. New ceramic tile floors in kitchen and bathroom. Original hardwood floors brought back to life. New Stainless Steel Kitchen appliances, new cabinets, new granite countertops. 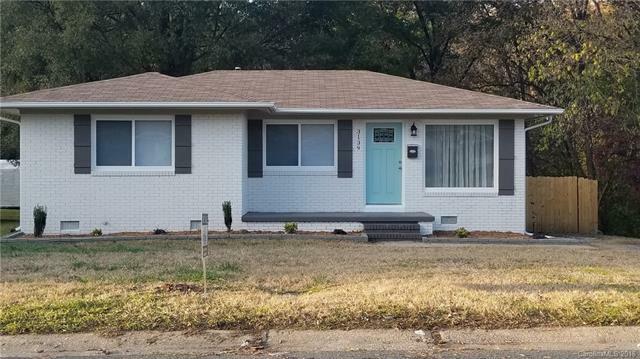 Brand New Windows throughout, New HVAC, New Water Heater. Large Storage Building in Rear being sold "As Is Where Is" Seller to make no repairs. This home has everything you could want or need in a Home. Located in Northwest Charlotte. Conveniently located to all major interstates. Minutes from Downtown, Northlake Mall and much more. Don't Delay this home wont last long! Offered by Atlantic Residential Realty. Copyright 2019 Carolina Multiple Listing Services. All rights reserved.